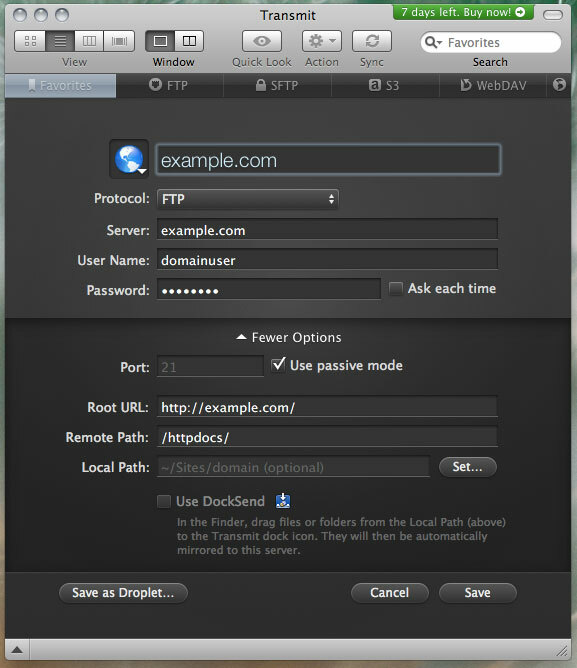 Transmit is a Mac OS X application used for FTP and SFTP. 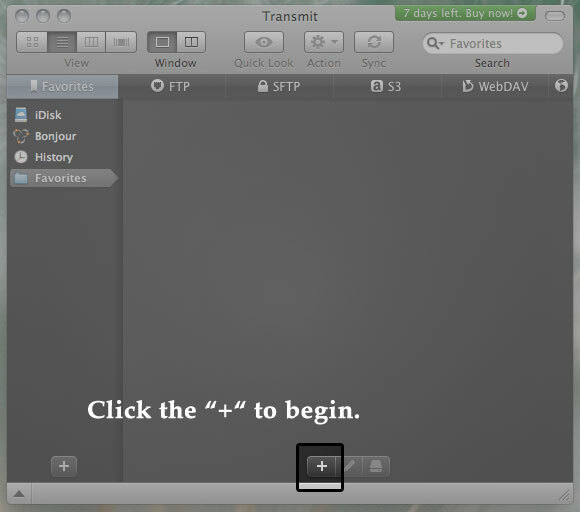 The first thing you'll need to do is download a copy of Transmit at http://www.panic.com/transmit/. Please follow the installation steps to install the application on your computer. The following tutorial is provided as a courtesy to our customers to help you configure your ftp software to work with (mt) Media Temple's hosting solutions. Third-party software can not be supported directly by (mt) Media Temple. 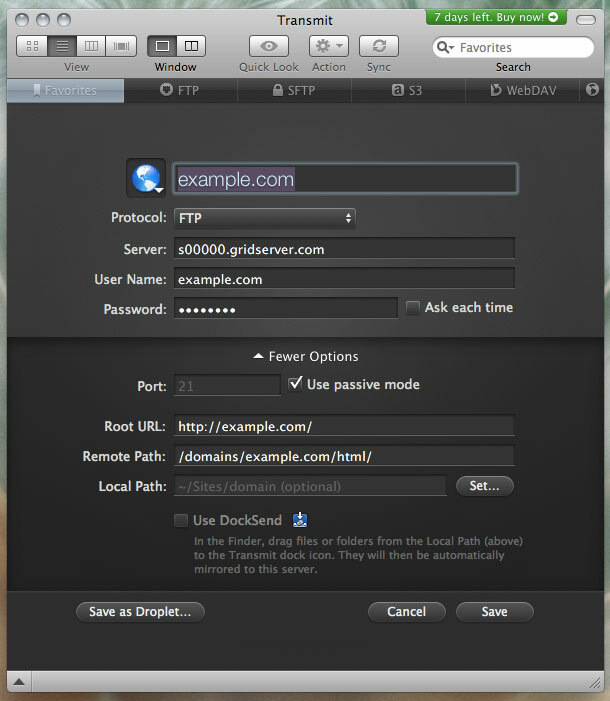 If you have further questions about configuring Transmit, please visit http://www.panic.com/transmit/support.html. The following instructions create your FTP connection as a favorite. Click on the plus "+" symbol to begin. Enter the settings for your server. Please check "Use passive mode." Click "Save" button to save this under your Favorites.